This beautifully restored heritage cottage in Richmond needed a few compact garden treatments to finish walls and fences. 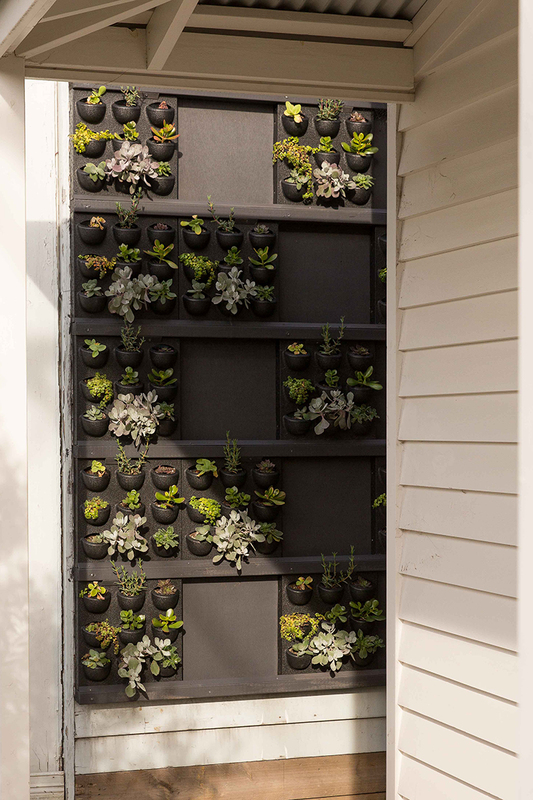 The succulent wall is in an ideal spot for summer sun. It is resilient and a great protection for the underlying surfaces. The garden now feels complete says Simon who is delighted with his olive trees on the back deck. The espalier trees in recycled timber wicking planters make a low maintenance food crop. Simon harvested the first crop of olives and shared them with us at Coolth Inc. Nice job Mr Chambers, you have perfected the art of olive preserves.